A toy locomotive train with carriages leaves the deadlock sludge. A toy train with carriages leaves the deadlock sludge. Toy locomotive rides quickly along the platform. 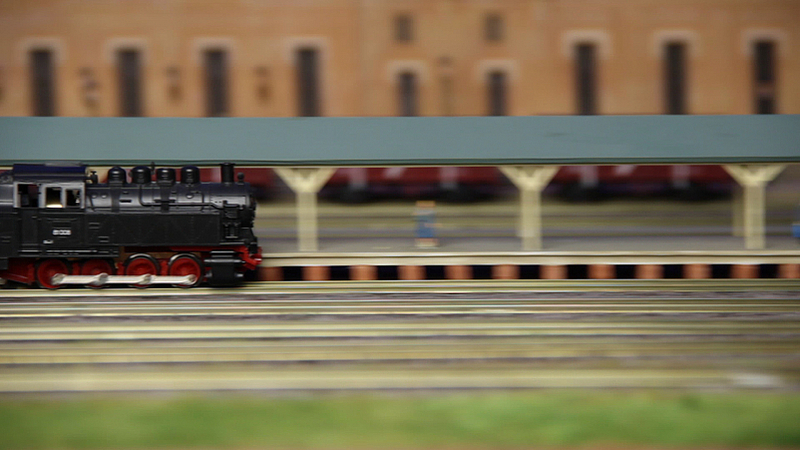 Toy locomotive hurtling along the platform. Locomotive with toys very quickly goes along the platform. Toy Model locomotive pulls back.